In simple terms, bitcoins are a new type of internet currency. They are also referred to as Cryptocurrency and have been a media sensation in the recent years due to various reasons. You can buy them through exchanges or from direct transactions involving other people through various platforms or market places. Here are some of the steps that you should follow to buy bitcoins. To be able to buy bitcoins, you will need a bitcoins address. Bitcoin addresses are needed to facilitate bitcoins payments, because such payments work the same way like bank transfers. Hence, each individual has to own their personal account, which is the bitcoin address. As an individual, you are allowed to have more than one address. If you have multiple addresses, you can store them together using an electronic wallet. This wallet refers to a software that enables you to send or receive bitcoins. Now, let’s focus on getting you a bitcoin address. You can get this address by a simple sign up for an electronic wallet in various platforms. Independent Bitcoin wallets: Just like the name, this is a personal wallet that cannot be accessed by any third party and you are the only owner of the bitcoins. There are various types of independent bitcoin wallets i.e. the Bitcoin Core. 3rd Party Bitcoin wallets: These wallets are managed by another party other than you, mostly the company in charge. These wallets are very convenient for beginners, especially when using a trusted third party service provider, for example, Coinbase. Here, the service provider company has a certain level of control over your bitcoins. The platforms are usually web based and can face various challenges like hacking. However, many security measures have been put in place in the recent years to curb these. Physical Wallets/ paper wallets: These include physical items for example flash drives. Also there are custom Bitcoin hardware wallets for example Ledger or Trezor. In simple terms, a bitcoin is a combination of numbers and wallets and can also be stored conveniently on a paper. Multiple user wallets: These are wallets that are co-owned by a number of individuals. The bitcoins can only be accessed after mutual agreement by all the members. How often you intent to use the bitcoins. User friendliness aspect of the wallet. The amount of bitcoins you intend to own. Any of these wallets will do a great job. However, you can choose to distribute your bitcoins by using many wallets. Wire transfer: One of the most common method preferred by sellers, because you cannot be able to charge your money back. Credit/debit cards: This is the most used method by various exchanges. Using credit cards often requires some kind of identity verification, but you will only need to do it once. PayPal or Scrill: Although there are various policies by these platforms on buying bitcoins, there are some hacks that can be used to enable you buy the bitcoins. 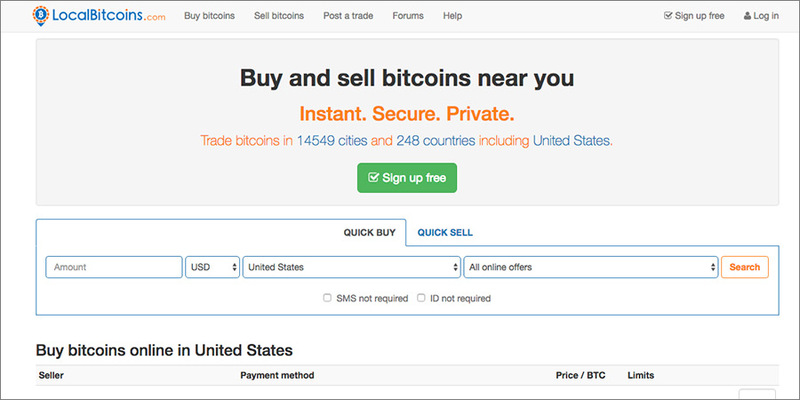 Using cash: Some website enable bitcoin traders to meet face to face and buy bitcoins. Brokers: Here, you can buy bitcoins at a certain set price by the broker platform. Coinbase and Coinmama.com are examples of these. Trading platforms: These platforms connect buyers and sellers online and gain a transaction fee. Examples are Bitstamp and Kranken. 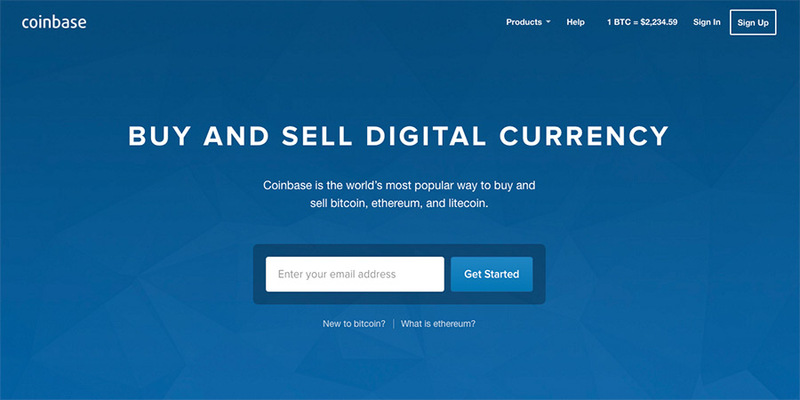 Coinbase is one of the most popular places to buy bitcoins. It is quite user friendly and has a mobile app and good web interface. It’s known for being a reliable and secure platform for buying bitocins. It is a very reputable company and you should definitely use it if you want to start up. The only drawback of Coinbase is that it’s not available in a all countries. While it’s available in most North America and Europe countries, it still doesn’t support some countries such as Japan and China. 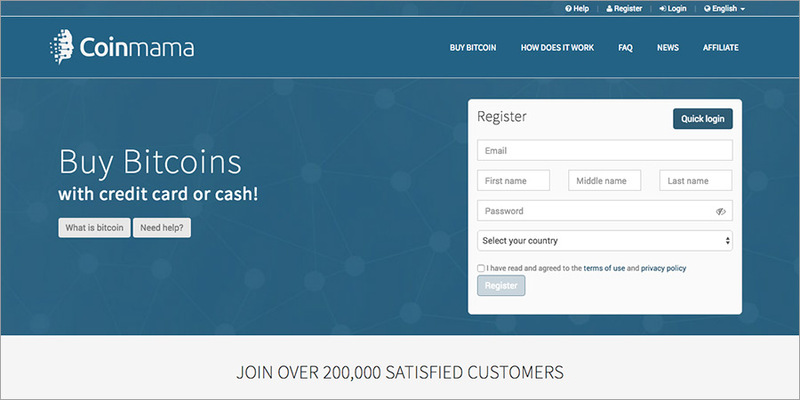 LocalBitcoins.com is a very user friendly platform that is widely used. The unique feature of LocalBitcoins is that it’s a platform that facilities over-the-counter trading of local currency for bitcoins. In other words, it brings together people who want to sell their bitcoins and those who want to buy bitcoins and match them so that they can finish their trade. Therefore, on LocalBitocoins.com you buy or sell bitcoins with other individuals instead of with an exchange. LocalBitcoins.com provides an escrow service as well as conflict-resolution services. CoinMama.com is a widely used platform in various countries, where you can purchase bitcoins using credit cards, debit cards or Cash. In addition to bitcoin, on this platform you can also buy Ethereum. 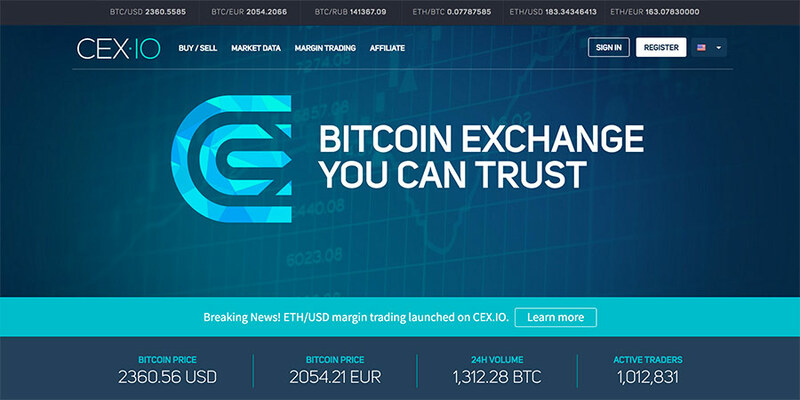 CEX.IO is a bitcoin exchange where you can buy and sell bitcoins. You can deposit funds using bank transfer or a Visa/MasterCard. CEX.IO supports most countries in the world, including 24 states of USA. 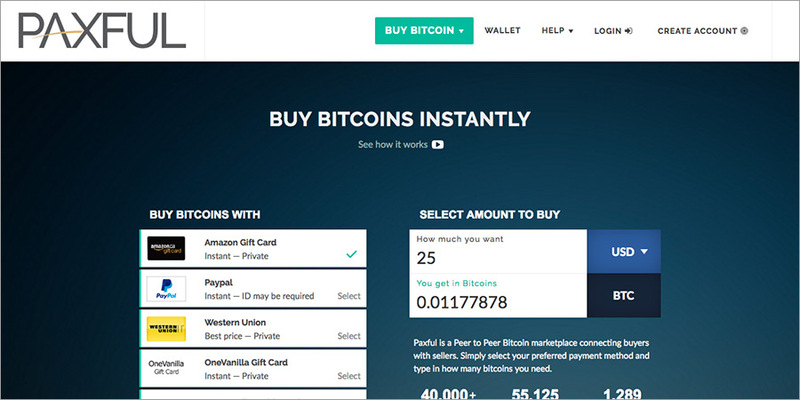 On Paxful.com, you will be able to buy bitcoins very fast and conveniently. This platform also allows you to buy bitcoins in a number of different ways, including credit cards, debit cards, Paypal, Amazon gift cards and Western Union etc. The most used payment option on this platform is use of credit/debit cards. 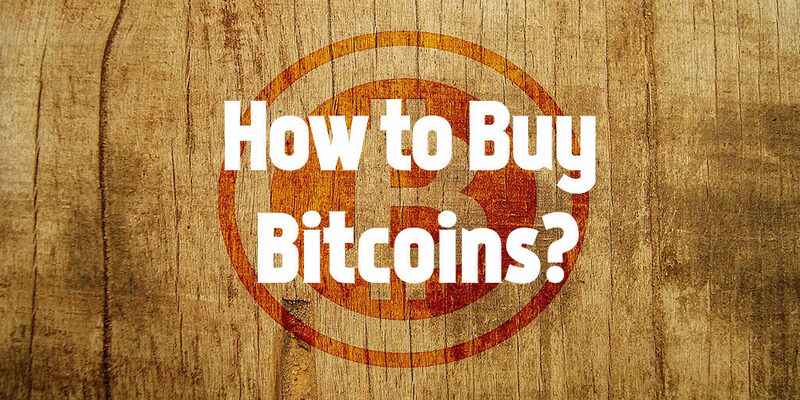 In this article we discussed how to buy bitcoins, including how to get a bitcoin wallet and how to pay for bitcoins, including using cash, credit/debit cards or bank transfer etc. You can choose a method that work best for you for buying bitcoins. Remember, when buying or storing bitcoins, security is very important! You should make sure your bitcoins are safe! Copyright © 2019 CryptoStix.com. All Rights Reserved.